The social system is an artificial construct. It’s a “presence” that has no life essence of its own. It only exists because of the energy that we, as society, are willing to give it. We give it life, a means to exist, by willingly feeding into the programs and beliefs that we accept as truth. The system is a tool used by those that walk among us, pretending to be like us with unloving intent. They are a gang, a brotherhood of thugs whose members have set up different artificial social fronts, that, while they look real and are there to serve society, they are there to serve themselves. While they seem to be independent social constructs, they are all connected to the backroom rulers who are monitoring events unfold. What connects them, besides this artificial network of social reality is the love, their love of power and of control. The laws, rules, conditions, policies and procedures they write and enforce on the general public do not apply to themselves as they have PIE. Privilege, Immunity and Entitlement. While they may say they are subject to the same laws, what they don’t say is that they aren’t punished if they break them. 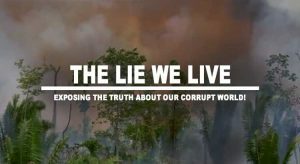 Politicians, bureaucrats, agencies, police, lawyers, military, education, media, banks, industry, doctors, religions, pharmaceuticals, hospitals, food, water, energy, gas and oil, etc, etc, all have PIE, when it comes to being responsible for their words and actions that affect the rest of society and the planet. 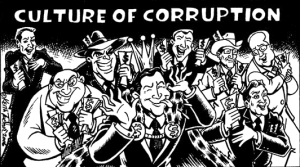 They all have INTERNAL departments that oversee any so-called discretion’s that has caught the public eye. Politicians have an internal review process. Police police the police. Lawyers govern themselves as do those in the list I mentioned. Corporations write bogus policies, claims and policies that instead of being checked and corrected by so-called government agencies for accuracy, health and safety, are instead, rubber stamped and put into law. 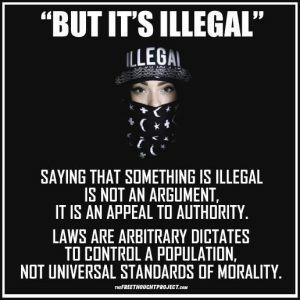 Saying that something is illegal or the law is an attempt to get you to acknowledge that they have authority over you and that you are compelled to obey their demands. Laws are arbitrary dictates used to control the general population, and are not universal standards of morality. Until laws and the penalties for breaking them are applied equally to one and all, including the “ruling class” with their Privilege, Immunity and Entitlement, they remain the tools of social injustice. This entry was posted in Conspiracy - NWO, Energy - Oil - Electric, Financial, Food - Water - Shelter, Health & Wellness, Media - Internet, Medical, Medical - Drugs, Military - Police - Laws, New Age, Politics - Government, Religion, Science - Technology, Society - Culture, Transportation and tagged Corruption, illegal, injustice, laws, matrix, PIE, ruling class by johnrieger. Bookmark the permalink.